I have spent around seven months or more of my life living or traveling in Central Asia. When I was recently there, nothing really phased me or surprised me and I felt very at ease and like I was ‘home’. While in Bishkek, I met a traveler who had never stepped foot inside of Central Asia and had never been to a country that even used Cyrillic. Hearing her ‘oohs and awws’ took me back to a time where everything in Central Asia was so foreign and stimulating for me. As a result, I decided, with the help of a few others experienced in Central Asia travel to create a post with observations, tips, and recommendations to keep in mind before you visit the region. Central Asia is vast and diverse… but certain tips do span across certain countries. Here are 50 things to know and do before you visit Central Asia. I have gone across the border of Kazakhstan at least eleven different times since 2013. And during this time, I fell under three different visa schemes. The first time was an expensive visa, the second time was visa-free, albeit for only 15 days, and the third time was visa-free for 30 days. Uzbekistan has recently changed their regulations, but the American procedures are still a bit more difficult than those for other countries. It is imperative that you know what to expect before going or you may end up stuck somewhere stressed out. Or, you can just go to Kyrgyzstan while you sort things out. They take in almost everyone and are very relaxed with procedures. Unless you visited at the end of 2016 when they randomly decided to implement registration for those staying longer than five days. You see? Check before you go! You can find up-to-date visa information and forums over at Caravanistan where you can see what is current for your citizenship. They also provide visa support if your nationality isn’t exempt from visas in certain Central Asian countries. This is another piece of information you must check prior to visiting all countries in Central Asia. The forum listed above is useful but can vary based on citizenship and the border crossed. Kyrgyzstan currently doesn’t require registration. Kazakhstan currently doesn’t require registration, but they hand you a white piece of paper at the border that you must turn in when you depart the country or you will be fined an absurd amount of money. Be sure that white piece of paper has two stamps on it or you will have to register. According to the law, it’s not allowed to stay with a host family. As a tourist, you have to register every night in a hotel or hostel. However, the current president of Uzbekistan is realizing how good tourism is for the economy and is making the laws a bit less strict. You’re allowed to camp or stay with a local family as long as you stay and register at a hotel at least 1 out of 3 nights. You’ve got to keep these registrations slips with you as the officials might check them when you leave the country. If you’re taking an overnight train, your train ticket will count as a registration slip. Also, keep in mind that you have to register EVERY night if you’re staying in the Fergana Valley. Don’t ignore these rules because not only you but also your host family could get into trouble. 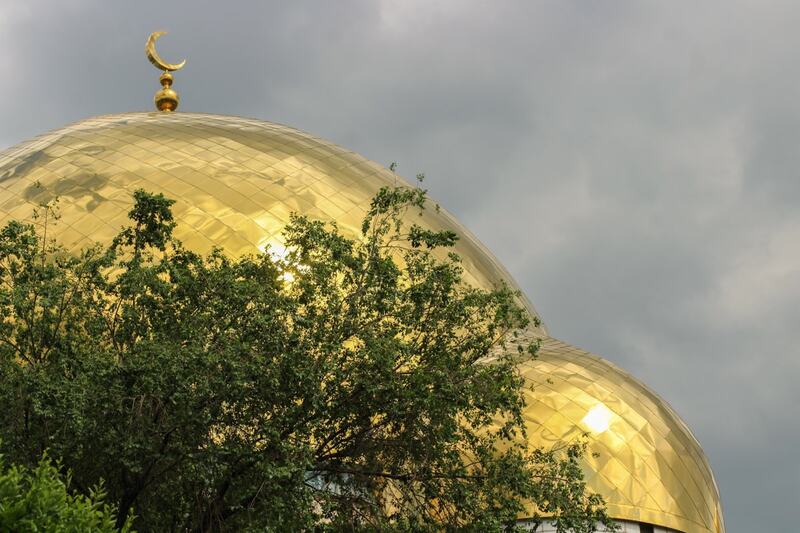 You can read more about her experience backpacking in Uzbekistan for additional details and information pertaining to the country. You would be surprised at how many people think they can just casually cross into Uzbekistan from somewhere near Osh, Kyrgyzstan. Or how many people in the Facebook group I admin think that they can trek across the Big Almaty Lake border from Kazakhstan into Kyrgyzstan with ease. These borders are currently closed. In fact, there are guards at Big Almaty Lake that will even check passports just in case. Try to plan your routes ahead of time and ensure that all borders you intend on crossing are actually open and operational. Most people traveling to Central Asia leave for an extended amount of time and not merely a few days. I don’t believe I have ever met anyone traveling there who was only there for any amount of less than a month. Therefore, you need to plan everything far ahead of time in order to ensure your Central Asia trip goes seamlessly. Notify your bank and make sure your bank card works internationally without issues. I had issues with Mastercard on occasion, but Visa never gave me any problems. Do you have a home alarm system? Be sure to have that set and the company notified of your absence. Are you on any prescriptions medications? Have those filled ahead of time as you may struggle to find the equivalent at first and you likely don’t want to waste your days in Central Asia inside of a pharmacy. Download all offline maps ahead of time and have SIM cards ready if you are using data from another plan and foregoing buying a SIM card in the region. Also, download any taxi apps you may want to have on your phone (can read more below about it). I never realized the importance of learning Cyrillic until I was with my friend and everything was so foreign to her. I am not fluent in Russian by any means, but I do know Cyrillic and can read any word put in front of me. This doesn’t mean I don’t make a fool of myself when trying to pronounce them, however. But knowledge of Cyrillic and a few key phrases like “How much?” or being able to count to ten will go a long way in Central Asia. If you don’t want to use apps on your phone to assist you (and you can download the Russian language offline with Google Translate), you can also check out a Russian phrasebook. Click here to see the Russian phrasebook I suggest for your Central Asia travels. On another note, Russian is the default language in a lot of Central Asia. It is not necessarily and universally the ‘official’ language. It is what you will hear spoken across different nationalities and you will hear it more often than not in the larger cities. In villages, you may not hear Russian at all. Do attempt to learn a few courtesy words of the local language when going to places where it is more commonly used. In Turkmenistan and most of Uzbekistan, you will see more of the Latin alphabet, however. Tajikistan, Kyrgyzstan, and Kazakhstan are all still using Cyrillic for the local languages. Kazakhstan keeps talking about change… so be sure to research before to see what is going on. Overpacking can be a pain in Central Asia as sometimes marshrutkas will charge a fee for excess luggage. It also is a pain because you will have to haul it around in uncomfortable situations. I have learned to wear my hiking boots as everyday shoes in Central Asia. Stylish? Not really. Try walking into a dance club in hiking boots and Nike pants (but they let me in because I was foreign and I like to think- charming). Also be sure you have a proper adapter. The plugs are the same as the ones in mainland Europe. If you have a lot of things to charge with other prongs, buy a power strip that fits the majority of your electronics and buy one adapter that fits the power strip. Also be sure to get health insurance before you travel to Central Asia. If you are trekking, you will be thankful to have that security. The food can also make people with sensitive stomachs ill at first- especially if you’re out in villages and eating meat. While things are fresher and likely better quality, there is not necessarily proper storage or refrigeration in the villages, which could upset a sensitive stomach. I have never had food poisoning or issues. But, I have known an abundance of travelers who have. Click here to check out travel health insurance options. This section contains random tips that cover Central Asia travel in a general manner. If you have any other tips to offer travelers, please drop them in the comments section below! Thanks! Think all of Central Asia is just desert or steep mountains? Nope. The landscape is so varied in Central Asia that I reckon it is among some of the most diverse on the planet. Kazakhstan alone is home to forests, high mountains, deserts, steppe, etc. Because of the variety of landscapes you’ll encounter, you will also run into different climates and weather in Central Asia. I have traveled from Almaty where it was -25C and two feet of snow on the ground to Osh, Kyrgyzstan where it was ‘blizzardy’ with only a centimeter of snow on the ground and temperatures above freezing. I also just experienced summer in Almaty and it was cold, which is a complete anomaly if you ask the locals. My advice is to pack layers and just take it as it comes. You can always find extra clothing at bazaars or shops when in Central Asia. Central Asia travel would be made easier with fast, bullet trains. But, that is not the case and the trains in many areas (not all) are slow and taking them can be a cumbersome process. Not to mention that they don’t even go everywhere. Getting around by marshrutka is the cheapest and most efficient way if you don’t have your own private vehicle or the means to fly. I think the transportation infrastructure allows Central Asia to stay relatively off the path with the exception of a few cities. This is a very difficult thing to talk about but it is something that travelers need to be aware of. Corruption in the region is rampant. There is no way to tiptoe around it. It is everpresent and the locals experience it regularly and you may even encounter it as a traveler. Corruption has been a part of Central Asian societies for generations and rather than having me hash out the ways it impacts local lives or different things that have happened as a result of corruption, I will simply just say to do your best to stay away from it. Corruption in Central Asia can be noticeable at all levels of society, unfortunately. As a traveler (and especially if you’re a blogger reading this), it is your duty to not exacerbate this problem plaguing Central Asia. Paying bribes (or even preparing to pay them if caught) to sneak into places is downright entitled and reprehensible. Furthermore, lying to public officials and police and throwing locals under the bus to cover yourself is nauseating and sickening. You may encounter issues that are beyond your control and a bribe happens. But to put yourself into an issue where you will have to bribe your way out of it is irresponsible and you have no idea the damage you are inflicting on societies already struggling with this seemingly neverending issue. If you can’t manage to travel to Central Asia respectfully, responsibly, and ethically, please stay away and go somewhere else. Swedish blogger, Johnny Friskilä, has visited Central Asia at least ten times in the last fifteen years and has never once paid a bribe. He says that the police in Kazakhstan and airport officials in Tajikistan have done their best to try to get some money off of him, but he vehemently refused all times as he truly believes that if you pay the bribes it will on encourage the police to do it over and over and over again as they know people will pay. You see? It is possible to visit a place, come back with a good story, and never pay a bribe. I wish other travel bloggers would learn and travel more ethically and responsibly. 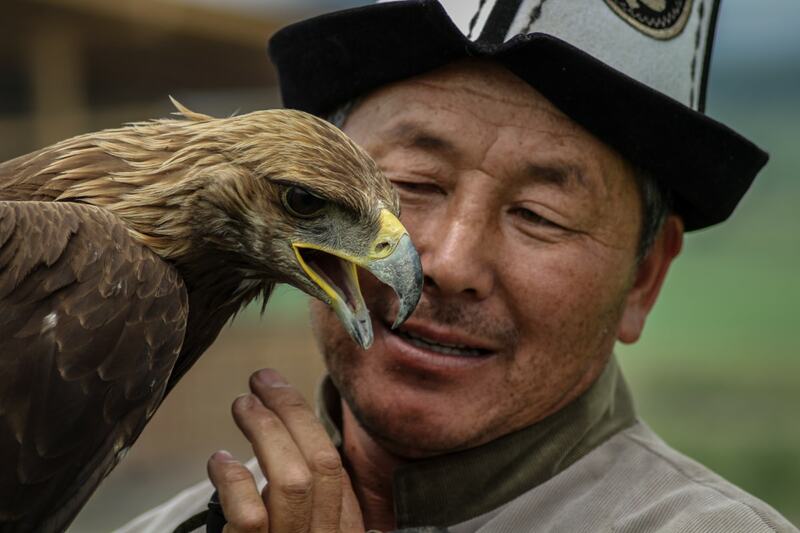 Click to check out Johnny’s photos from his most recent Central Asia trip. 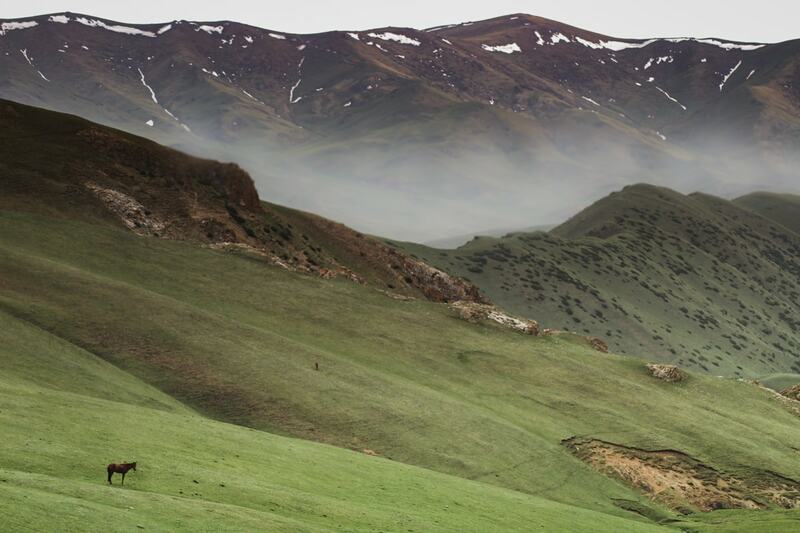 People underestimate the nature of Central Asia. They don’t realize that the mountains are actually as high as they are. They don’t realize many of the lakes are actually as blue as they are. And they also don’t realize that this incredible and pristine nature that you’re unable to find anywhere else in the world makes it more difficult to get around the countries. 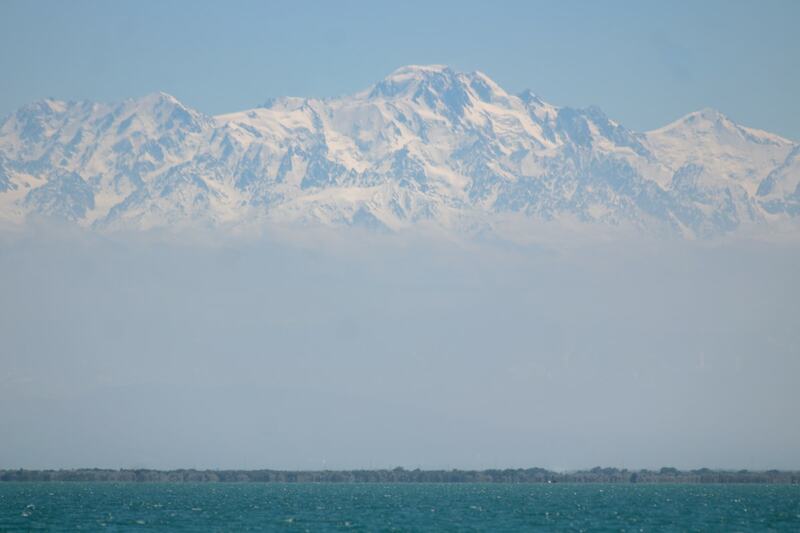 One of the things I have heard most from travelers is that they didn’t realize that the mountains were as high as they were in Kazakhstan and Kyrgyzstan. Or that the steppe is actually pretty beautiful and can be explored in its own right. The countries of Central Asia have a deep-rooted history and each layer is present in its own way. 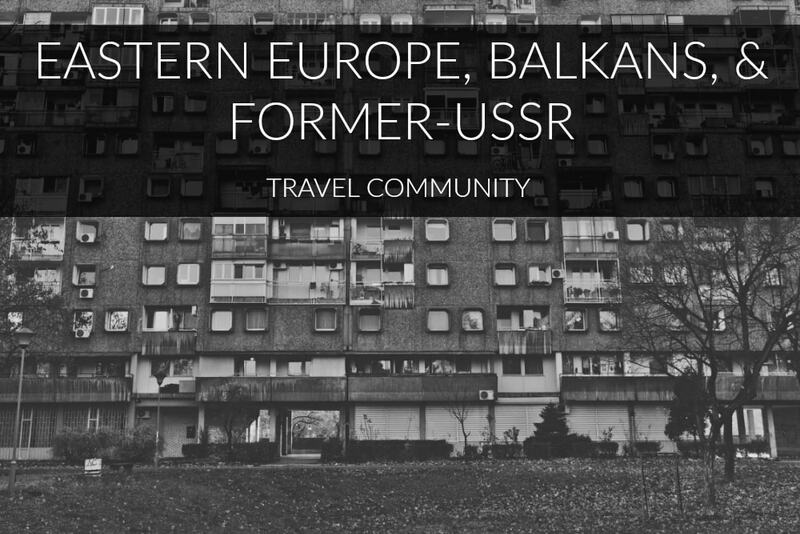 When in a city, you can really feel the Soviet history because it is present in the architecture and buildings. Quite frankly, most Central Asian cities were not in complete existence in the way that we know cities before the Soviet times. 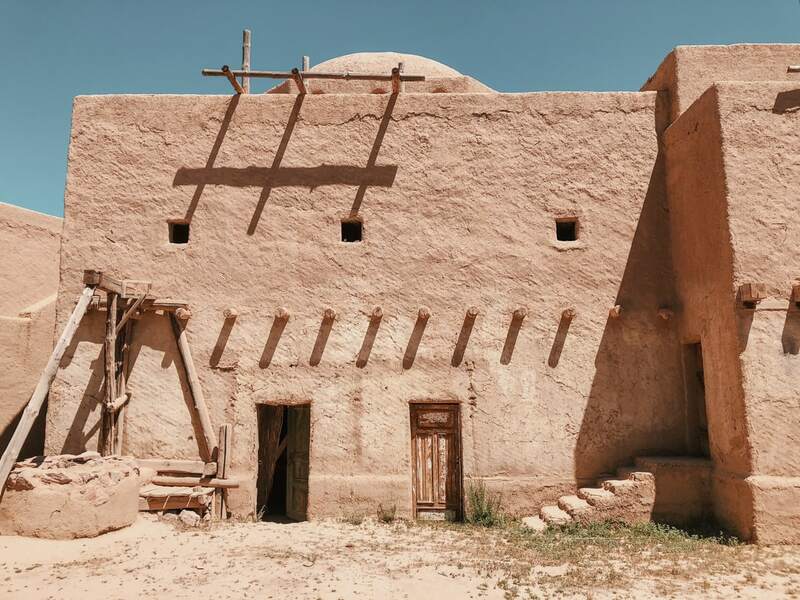 They were more nomadic and perhaps didn’t construct buildings that stood the test of time. This is often why I meet so many people that love Uzbekistan- there are buildings from far before the Soviet times still standing and it showcases the history of the country and displays the complexities of it. Nevertheless, study up on the history of whichever country you are traveling to before to understand the city and village layouts. It is fascinating. While you can use your card in many places, cash is always the easiest way to pay for things. You won’t have to worry about the establishment taking your Mastercard (which isn’t as commonly taken as Visas) or worry about a random decline for whatever reason (this happened to me a few times in Kyrgyzstan). ATMs are common enough in certain countries and you can almost always find a currency exchange if you arrive with cash. Kazakhstan and Kyrgyzstan will have ATMs more commonly than Turkmenistan, Tajikistan, and Uzbekistan according to Swedish travel blogger, Johnny Friskilä. He also states to bring USD or Euros to the aforementioned countries and ensure that they are in crisp and good condition or they risk not being accepted. This should be fairly standard no matter where in the world you are (unless you’re capturing an event or something in a different manner where you sort rights before). What I find is that most people in Central Asia love being photographed, especially outside of the cities, but just get permission prior and be cautious about what story you’re looking to get across to readers and viewers. Don’t exploit people and places. Johnny Friskilä says he often encountered people asking for you to send them their photos later on so they can keep them. I have also encountered the same. Be sure to follow up- you never know when you may make a new friend! Central Asia is a Muslim region. Some countries are more traditional and conservative than others. Some cities are more conservative than others. Be sure to respect traditions and the religion when there. I have spent a lot of time in Almaty and Bishkek and I never felt the cities were conservative. I then traveled to Osh, Kyrgyzstan and it was a whole new world for me. I couldn’t easily find beer, the people were more covered up, and religion seemed to play a bigger role in the locals’ everyday lives. Finding information about local customs is pretty easy, but always be prepared to change your ways and habits if you arrive somewhere and surprised by it being more conservative than expected. This can be said for many places around the world, but it is very, very apparent in Central Asia. The villages are remarkably poorer than the cities. 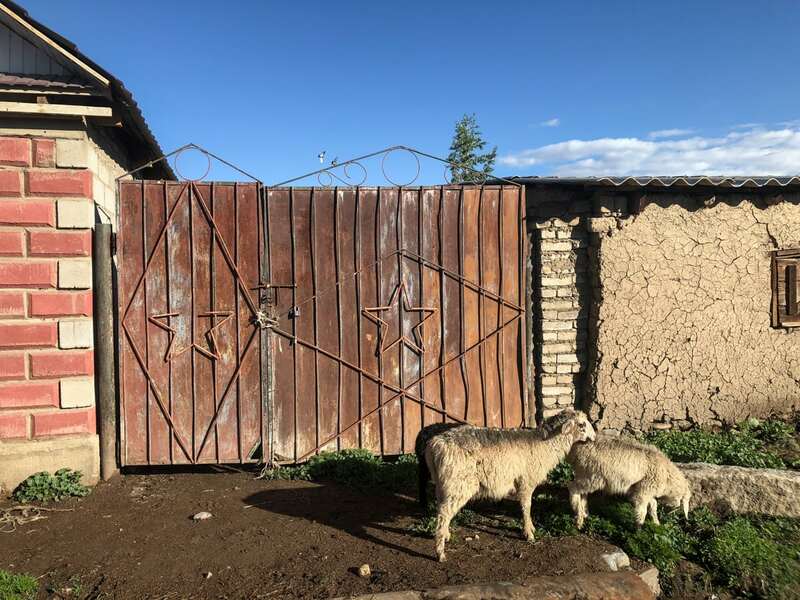 I was in a village in Kyrgyzstan called Kyzart down by Song Kul recently and there wasn’t electricity for the duration of most of the day that I was staying there. They said it was common and happened regularly. I was in villages in Kazakhstan the last trip and it was a pretty similar experience (although not as bad). In addition, a village in other parts of the world may still have a hotel, restaurants, cafes, etc. In Central Asia, this is less common and the locals are working labor-intensive jobs within their respective village and they are fairly self-sustaining. 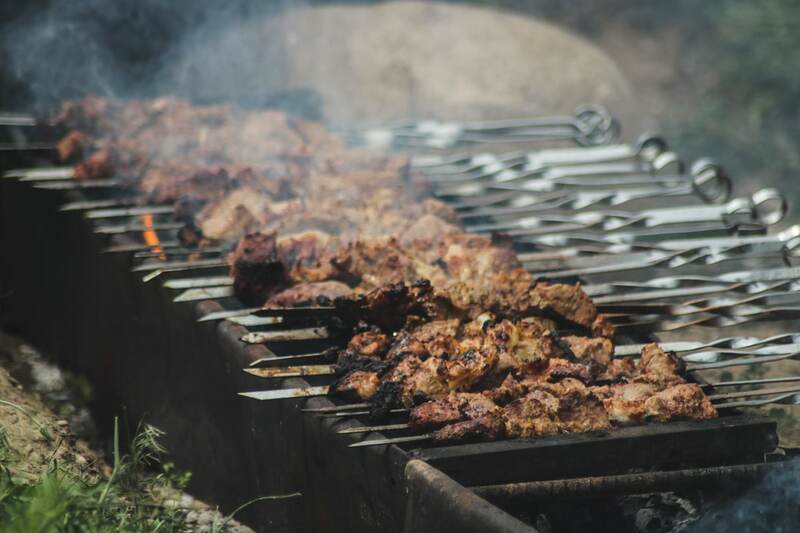 Food and socializing and hospitality all go hand-in-hand in Central Asia. Maybe that is why I love the places I have visited so much? You will eat more plov than your body can handle. You’ll eat more bread than your body can handle. But just remember that when you leave the region you’ll probably be craving a hearty plate of plov and won’t easily be able to get your hands on it, so… indulge while you can! 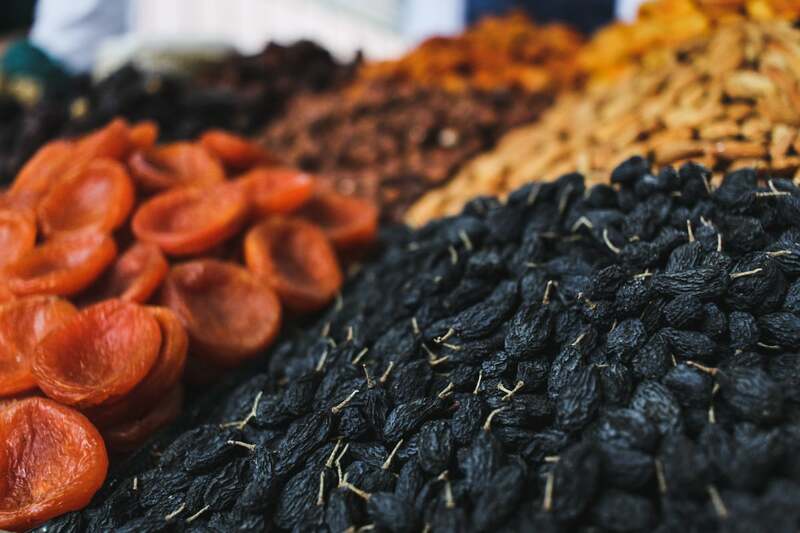 The fruit and vegetables of Central Asia are incredible. They aren’t injecting them with hormones or polishing them to make them look pretty. Apples look like apples and aren’t always pretty. But… the taste will blow your mind. Any produce grown in the region is organic for the most part and grown in a very natural manner. You can sometimes find an avocado or mangosteen at upscale grocery stores in the city, but you will pay like $10 for it and it won’t even look appetizing. Uzbek strawberries have two seasons and I always said that Norwegian berries were the world’s best… until I ate my first Uzbek strawberry. Uzbek melons? Also phenomenal. Tomatoes, cucumbers, apples, gourds… they all taste better in Central Asia. Just trust me. I have met some avid tea drinkers throughout my years but nothing compares to the tea drinking culture in Central Asia. It is as much a part of their lives as waking up in the mornings. Called ‘chai’, you will inevitably be asked for tea multiple times a day if you’re staying with locals. There are also chaikhanas, or tea houses, spread throughout the region and are a regular part of daily life. I like tea, but I prefer coffee. But, when I am in Central Asia, I definitely drink far more tea than coffee. It is also one of the first things I miss when I leave. Unless you’re hanging around Bishkek, that is. Bishkek has pretty decent wifi and it is also fairly reliable. Bishkek is a great digital nomad’s location, in fact. The rest of Central Asia? Pretty hit or miss (mostly a miss). 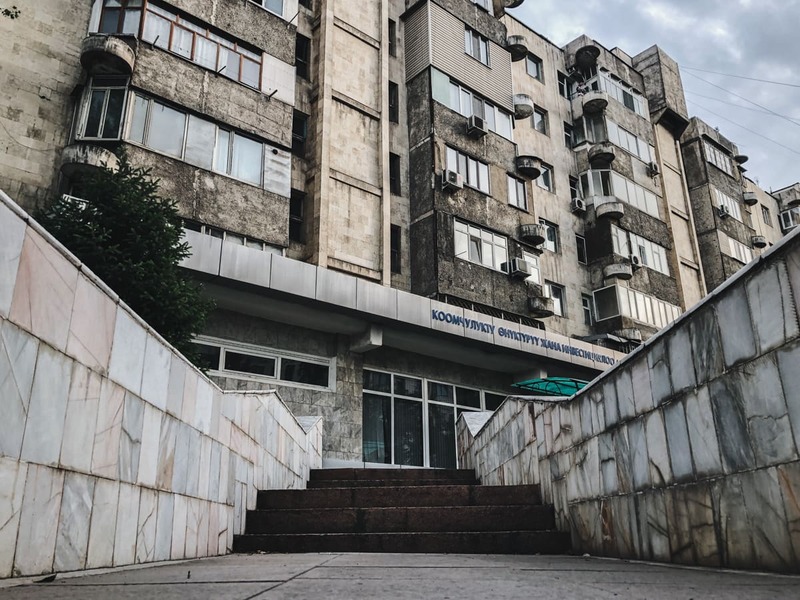 Almaty used to be really good when I lived there in 2016. In fact, I was planning to write a digital nomad’s guide to the city. I never got around to it and I am now glad that I didn’t because the wifi situation is painstakingly bad at the current moment. The internet freedom has decreased and there are blockages and/or reduced speed every evening from 8pm-11pm. I won’t get into the politics of why this is happening, but it is annoying. As I left Almaty, the blockages were happening during the day too. I hope things improve and I am confident that Almaty will once again be good for internet and connection speed. Depending on where in Central Asia you are, you may also find certain websites blocked. 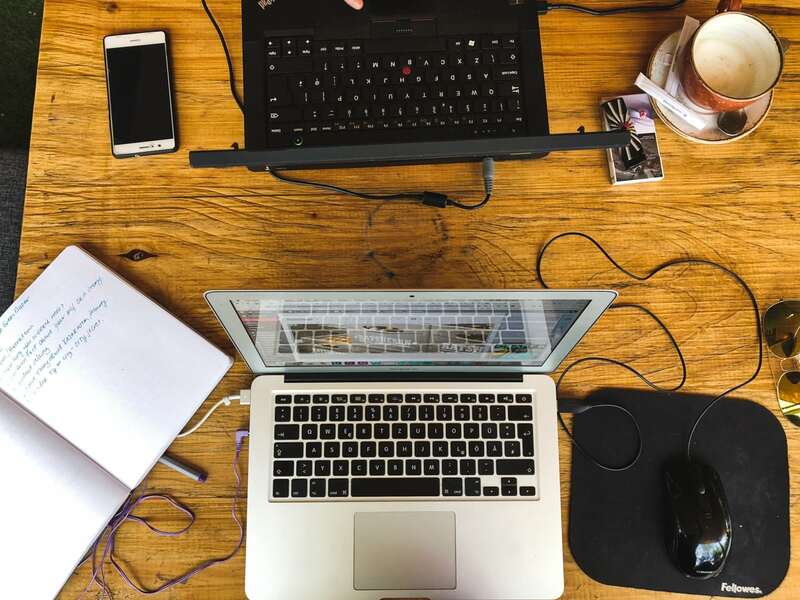 VPN providers like ExpressVPN provide website unblocker tools that you may want to consider for an unblocked browsing experience. 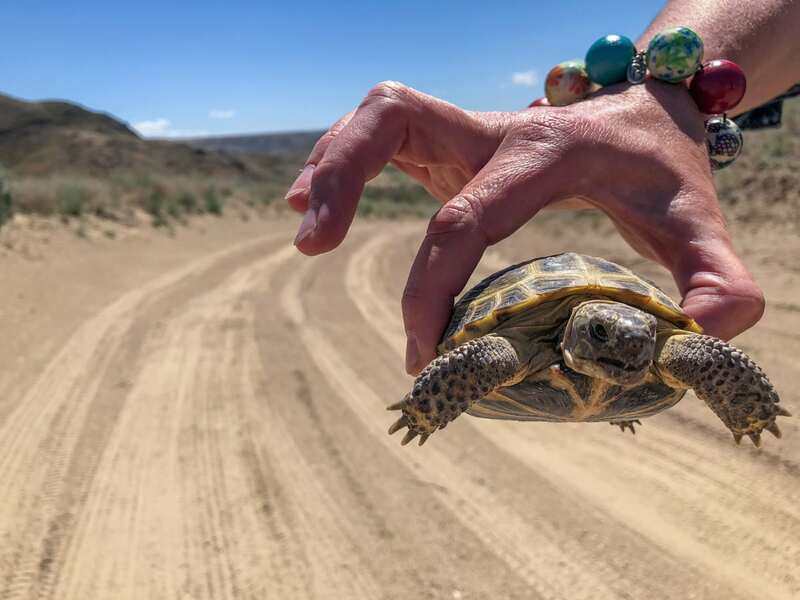 Traveler and architect Shelly van Gogh recently stated that Tajikistan’s internet was so bad that she would have to go sit inside of a big, international hotel like the Sheraton in order to connect to the internet. The hostels and other places she had been were so terrible that it was her only connection with family during her long travels. She said you can buy a cup of coffee and they will give you an internet code at the Sheraton. It will only work for an hour, but it will provide some comfort and accessibility if you’re needing to get online. This is a weird one, but something I think is relevant for travelers to be wary of. Hostels in Central Asia will often take in locals or migrant workers. This happens sometimes in the Caucasus as well. While I don’t mind sharing a place with locals, you’re less likely to meet people and there will always be people around you during the day. When you’re looking to book a place, see if the verbiage and reviews are in English or languages aside from Russian or the local language. Also, do a quick search online to see if others have written about it. If locals are living in hostels, they often will come with a lot of bags and luggage and the room can become very messy and overwhelming. Not trying to generalize, but I have had this happen on at least ten occasions in Central Asia and the Caucasus and there was never an exception. Besides, meeting travelers in Central Asia is a lot of fun because they are usually open-minded and adventurous. I have met some of my best friends while staying in Almaty and Bishkek. I learned so much through trial and error throughout the years there (mostly error) when it comes to taking a taxi in Almaty. Now I have a system and I never have issues. But, the taxi situation in Central Asia is an interesting one. I have had some exceptional taxi rides in the region and also some horror stories that involved the police. What I can say is that taxi gangs exist and the economic situation in Central Asia doesn’t necessarily make things easier as many people are just looking to feed their families. I have found using an app to be the very best way to catch a taxi. In Kazakhstan and Kyrgyzstan, Yandex Taxi works efficiently and well. Uber is also around in Kazakhstan, but there are fewer drivers and it is slightly more expensive. Click to download Yandex for iPhone or Yandex for Android. If you do find yourself in Kazakhstan or Kyrgyzstan taking a taxi off of the street, try to know the approximate price beforehand and don’t be scared to haggle. Because of the taxi gangs, I often try to find an older man instead of a younger one. But I have had luck with both and have had some really nice young men driving my taxis. I just chalk up my past problems to bad luck. Always get the fare negotiated before starting and never ever leave your stuff in the trunk without you being in the car. Make the driver get out to get it so they don’t drive off with it (this happened to a friend of mine at the Bishkek Airport). In Uzbekistan, van Gogh states that the app to use is Mytaxi.uz. 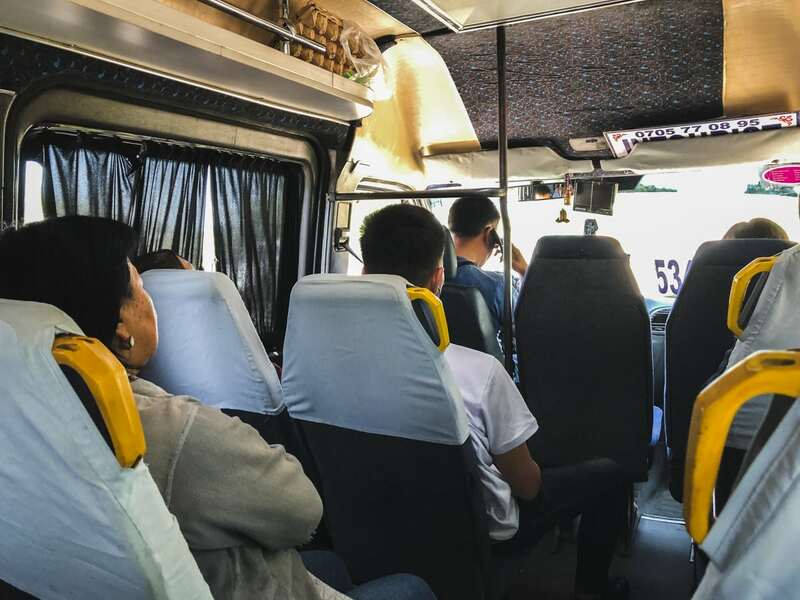 She advises you to keep the app open during the ride, however, as sometimes the drivers will take alternative routes to increase the fare a bit and it will adjust it to be more expensive in the end. In Samarkand and Bukhara, areas known for higher tourism, taking a taxi was a bit more difficult as they would often adjust the fares at the end and say they said a higher price initially. To combat this, she recommends having them write the fare on a piece of paper at the beginning so that they won’t change it at the end. Click to download Mytaxi.uz for iPhone or Mytaxi.uz for Android. In Tajikistan, you can use the app Rakhsh to catch a taxi. Click to download Rakhsh Taxi on iPhone or Rakhsh Taxi on Android. Smoking weed is illegal in all of Central Asia. Funny enough, Kazakhstan is where cannabis originally came from and you will see it growing wild everywhere in the south. And by everywhere, I really mean it. Even on streets in Almaty if you’re observant enough. 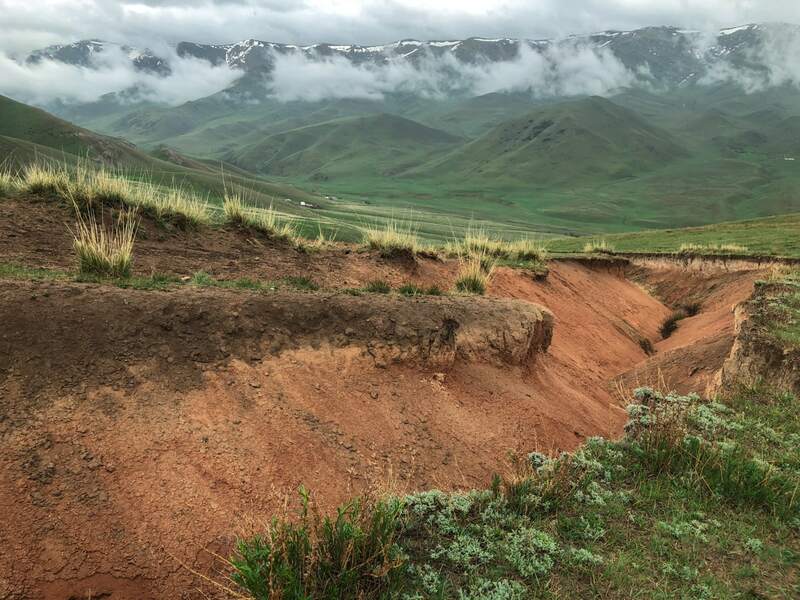 The Chuy Valley of southern Kazakhstan (and a bit of northern Kyrgyzstan) is where it originates and this area alone supplies Russia with 93% of their cannabis. 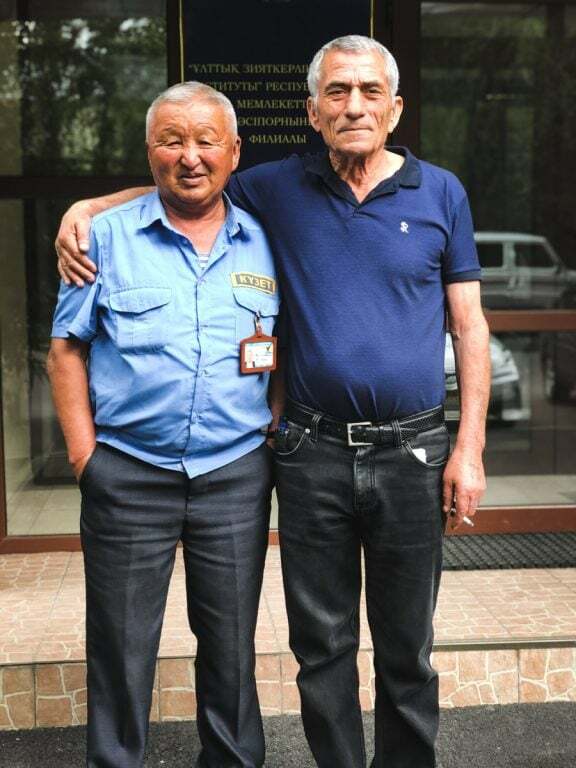 President Nazerbayev wants to make use of the wild and uncontrollable plant by turning it into paper since Kazakhstan makes none of its own paper. Paper is overrated and it’s not 1967; I vote for a transition into weed tourism to toss things up in the region a bit. The service in almost every establishment I have been into in Central Asia is pretty horrendous. About 80% of the time, people stand around texting on their photo or just flat out ignoring customers. But that other 20% of the time it can be so stellar it’ll blow your mind. There is really no in between. It actually became humorous after a while to my friends and me. But, be patient. While people are friendly, the cultures are not the most social when it comes to eating out and going to bars compared to other parts of the world, so customer service has never been a huge priority like in the United States. As tourism develops, I trust this will too. Or just do it anyway as you never know who you’ll meet or what conversation will arise. In Kazakhstan and Kyrgyzstan, I have met hundreds of strangers from just saying hello or stopping to take the time to interact with them. 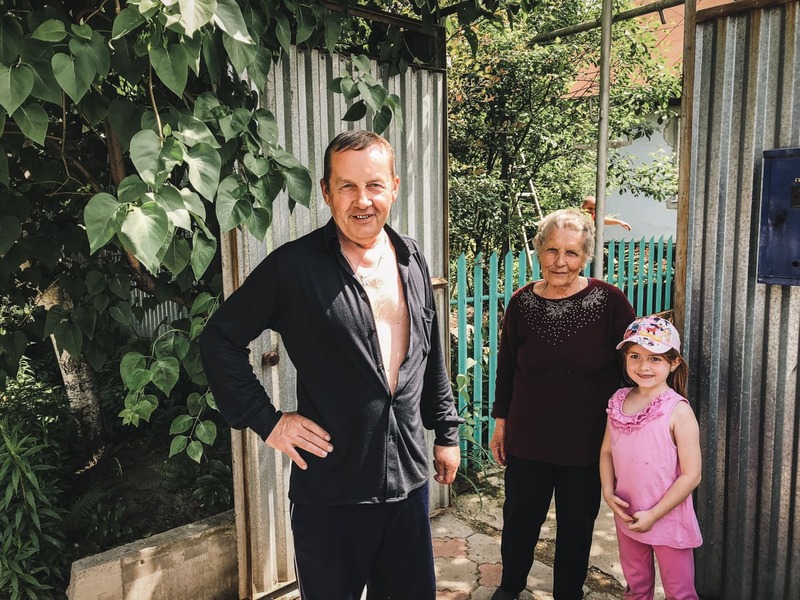 In Dushanbe, Samarkand, and Bukhara, traveler Johnny Friskilä says that people would often come up to him just to practice or use their English. They never wanted anything in return. Don’t make assumptions and assume the worst- chat with people and you never know who will invite you into their house for a cup of tea and sweets. Having -Stan at the end of your country’s name can be as tarnishing as having the same last name as a terrorist. Don’t just assume that because a country’s name ends in -Stan that it is dangerous and not worth visiting. I have felt safer in Central Asia than anywhere I have been in Western Europe or North America. You will on occasion hear of radicalization happening in Uzbekistan or parts of Kyrgyzstan, but do take mind that this is the exception more than the rule. 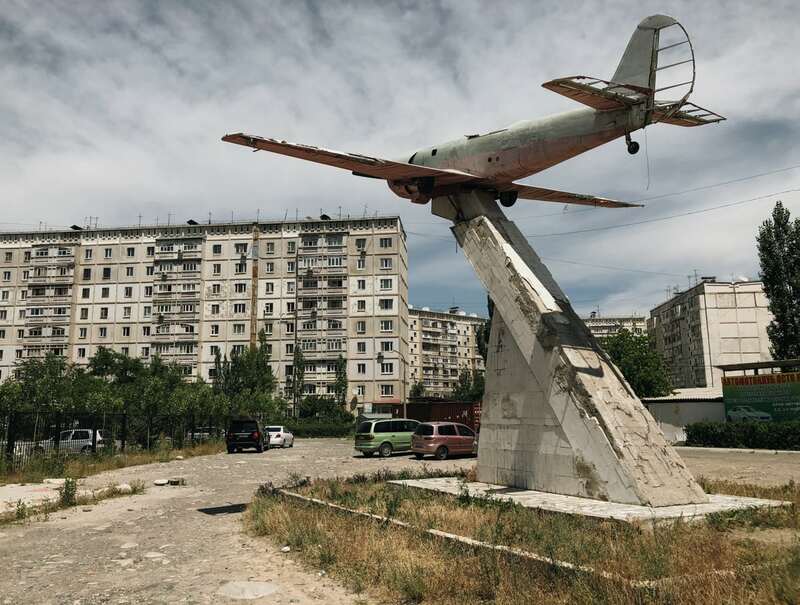 I have been to Osh, Kyrgyzstan recently, one of the places that make headlines for this, and I felt safer than anywhere else I have been in a long time. 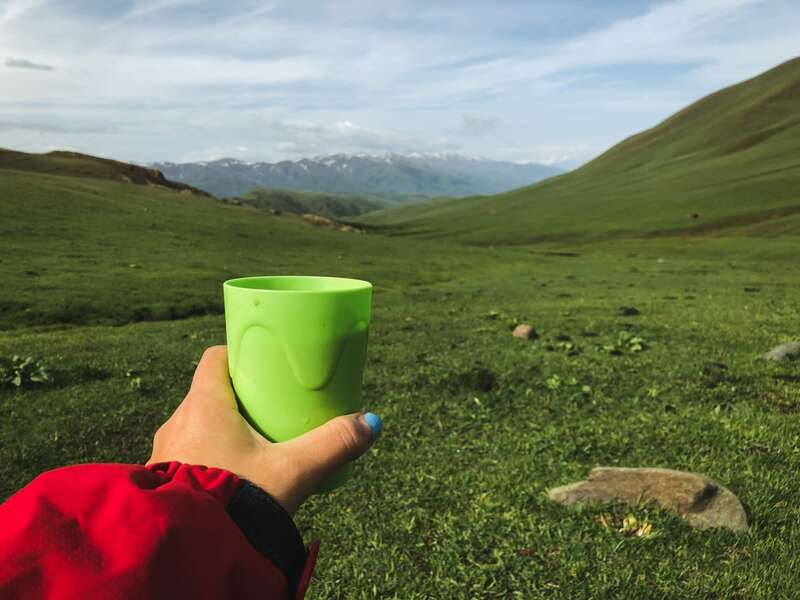 Solo female travel is also pretty safe in Central Asia if you know the rules, traditions, and how to be respectful toward religion and history. Things can happen at the same rate as anywhere else, of course, but you’re likely safe. The train ride from Tashkent to Samarkand and Bukhara is actually more modern and efficient than one may initially think. 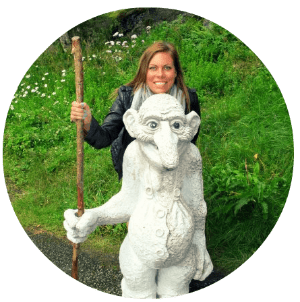 Dutch traveler Shelly van Gogh says it is cheap and high-speed and you are able to purchase tickets online well in advance of your journey. If you go to Uzbekistan with a pre-arranged visa, you can also purchase them through the visa company most likely. Do be sure that if purchasing online that you have an Uzbekistan visa already in your passport as you will need to scan it and send it over. 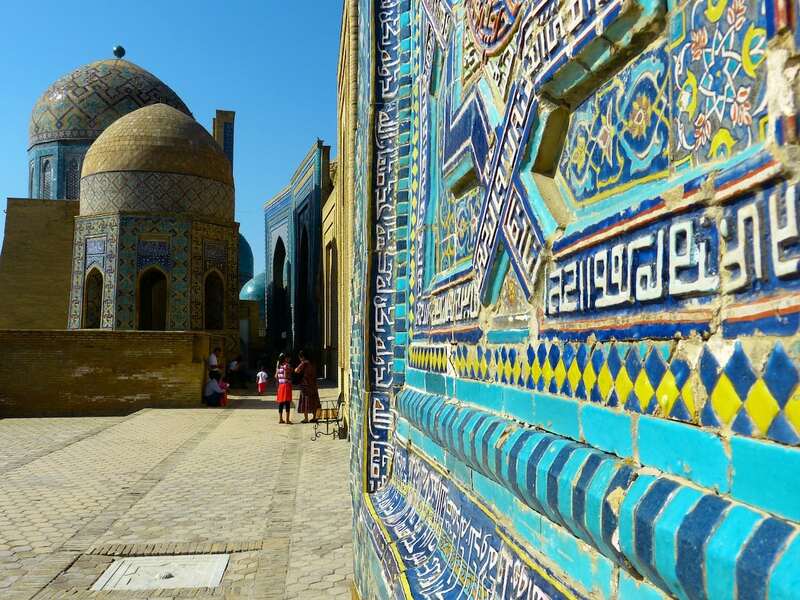 Click here for the Uzbekistan Railways website to purchase tickets and see timetables. Always have US dollars (or now Euros work well too) on you in Uzbekistan. While businesses may or will not take this currency, you can exchange it for Uzbekistani Som easily at hotels (which is where many locals exchange). Why USD? ATMs and cash machines sometimes give you USD instead of Uzbekistani Som. If this is the case, you’ll need to exchange but only do at credible places and not at bazaars or from street vendors. Renowned photojournalist Amos Chapple says that throwing bread away in Uzbekistan is frowned upon and should not be done. 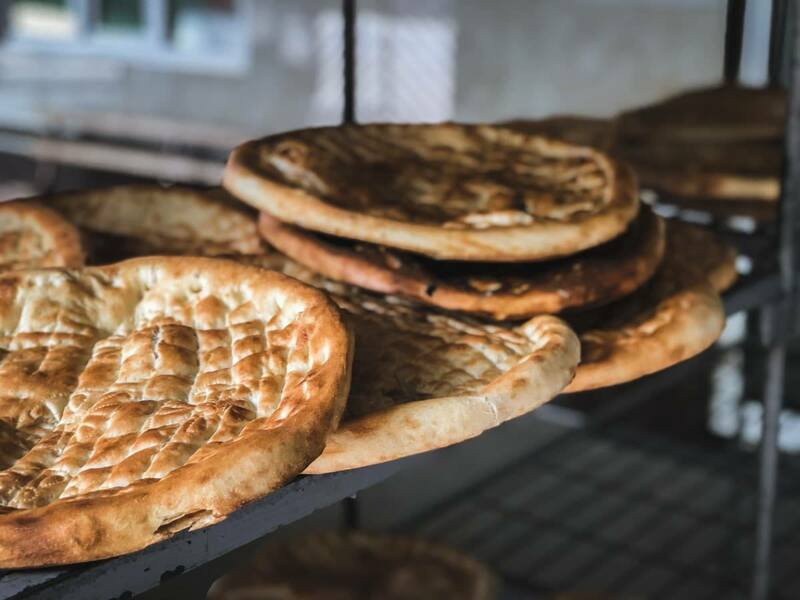 Not only is Uzbek bread delicious, it is also considered to be sacred. Feed it to dogs, birds, or the poor- but carelessly tossing it out the window will attract a negative response from locals. I have yet to make it to Tajikistan (I really need to stop just visiting the same places over and over and venture out more- meaning I need to take a trip along the Pamir Highway), but I have some friends who have spent a fair amount of time in Tajikistan who wanted to share their tips and experiences with you to help you plan your trip. Attempting to buy a SIM card in Tajikistan was a difficult process for van Gogh as it turns out one could not be purchased on her passport (Netherlands). In order to obtain a SIM card, she had to get forms from customs but she was unable to do with ease because the Wifi never worked well enough, so, in the end, the hotel ended up purchasing one for her. Interestingly enough, Tajikistan has just rolled out a SIM card made especially for tourists in collaboration with TCell that can be purchased affordably at hotels, restaurants, and tourist sites. To read more about this development, click here. I found this the case in Kyrgyzstan too, but van Gogh said she struggled with Mastercard a bit in Tajikistan. At Dushanbe Airport, only Visa cards were able to be used to withdraw cash from the ATM. If you have a Mastercard and are stuck, she advises going to an international hotel chain, like the Sheraton, and they will have ATMs where you can easily take out on a Mastercard or several other card types with ease. Tajikistan is very affordable for western travelers as a whole, but if you are on a budget and penny pinching, be sure to clarify prices before participating in activities. 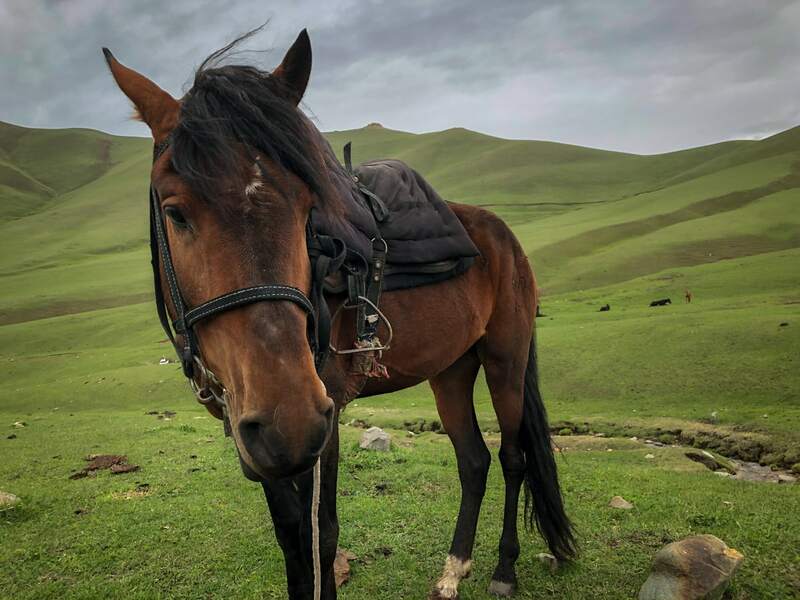 For example, if you go on a horse ride in Tajikistan, ensure that the price given is for the entire ride and not every corner you turn. You get the jist. Have it written down on a piece of paper or somewhere where you can prove it later if it becomes troublesome. This is pretty common across several countries in this part of the world but it is also something to take note of. The men are very friendly and there are varying reasons behind this but many women will say that if their man is home, they are not a good businessman. If you’re a female, you will inevitably notice this as it is always a striking observation to me, but if you’re a male traveler, you may not be as quick to notice. 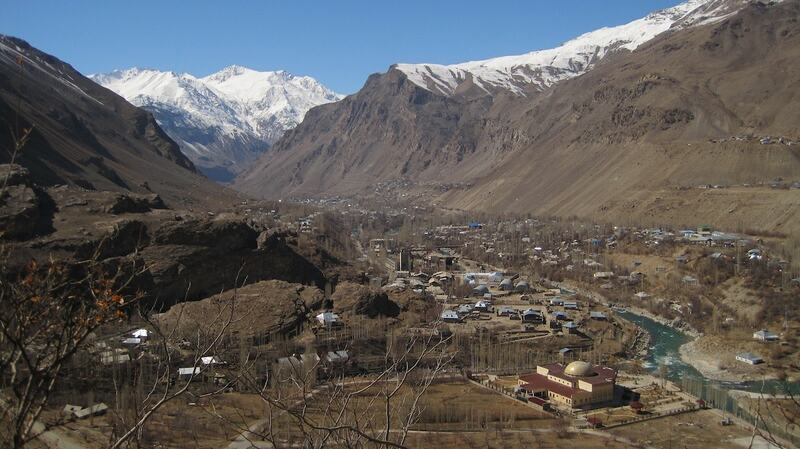 According to Darya, a traveler originally from Almaty, Tajikistan is referred to as the ‘roof of the world’. There are mountains everywhere. When you fly into Dushanbe, you will be surrounded by them and it will take your breath away. This can also make getting around in Tajikistan a bit more difficult. Give yourself time and patience when traveling throughout the country as things will inevitably take longer than anticipated. Check out her Instagram to see more of her world travels. Darya also states that there is nothing comparable to Tajik hospitality. She used to live in Nurek and she said that she met so many locals and they took her in and treated her like family and even gave her a traditional Tajik gift which is something she holds dear to her heart as she recollects her time there and plans to go back at some point. 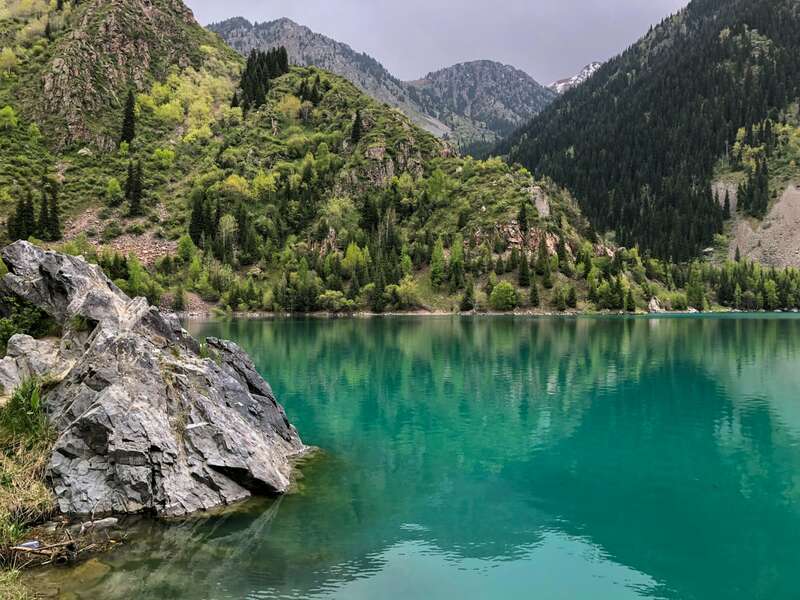 London-based traveler, Alison, recently explored Tajikistan and said that the thing that surprised and delighted her most was how friendly locals were. The kids were always smiling and waving and Tajiks were just inviting and made her feel very welcome in their homeland. Smoking is banned in public places in Tajikistan and in order to get your fix, you must go somewhere private and not do it on the street. The police will fine you if caught. 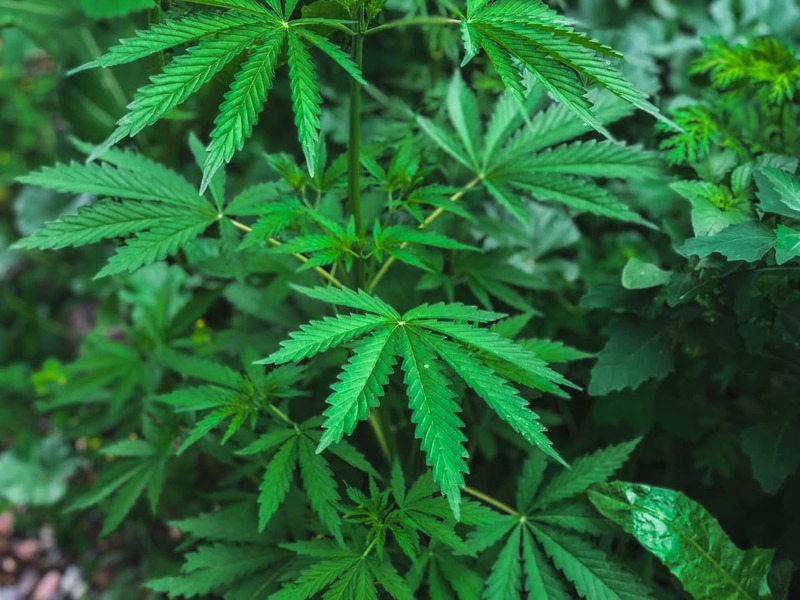 It may not be easy to find a private place to do it depending on what you’re doing for the day, but most large hotels will allow you to come by and smoke in front of them with other guests. To be honest, Turkmenistan hasn’t really ignited my wanderlust yet. Many people want to venture there because it is closed off and lacks freedom or to see the Darvaza Gates of Hell. That actually deters me from wanting to visit. I had a friend working there and could get me in easily without a tour and I still didn’t seem to make the effort to go, but I am certain that one day I’ll make it over that way. 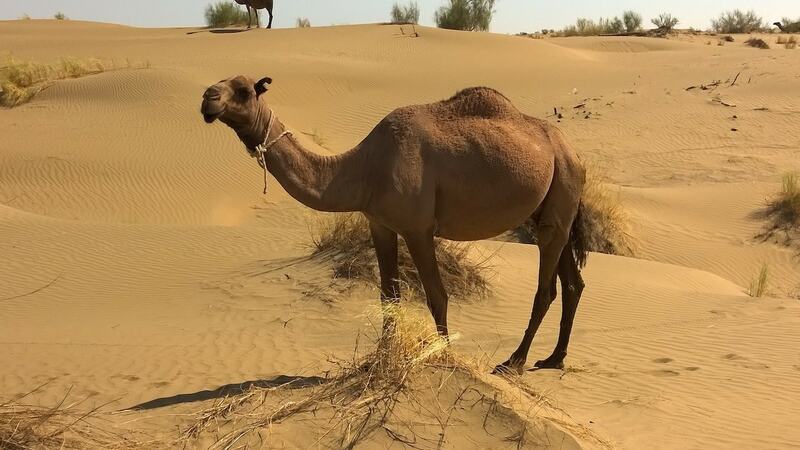 Below are some Turkmenistan travel tips from friends of mine who have traveled there. Traveler and blogger, Anna from Anjci All Over, states that smoking in public in Turkmenistan has been banned since 2000. Anecdotally, the former president, an avid smoker, was instructed by his doctors to quit and introduced a nationwide ban to have company. Today, you will sometimes see people smoking in Turkmenistan, but they will always do so away from prying eyes: in their homes, in a dimly lit corner of an outside restaurant area or on the side of a country road while resting from driving. In fact, the sale of tobacco products was outlawed in Turkmenistan in 2016, effectively banning smoking. As what typically happens, a black market for cigarettes swiftly sprang up. Shops selling illegal tobacco products faced large fines, but did not entirely end the lucrative trade – it is rumored that the price for a pack of cigarettes on the black market can reach $10. For the limited part of population traveling abroad, importing heaps of cigarettes is not really an option, either: only two packs are allowed per person, and bringing items for others is strictly prohibited. 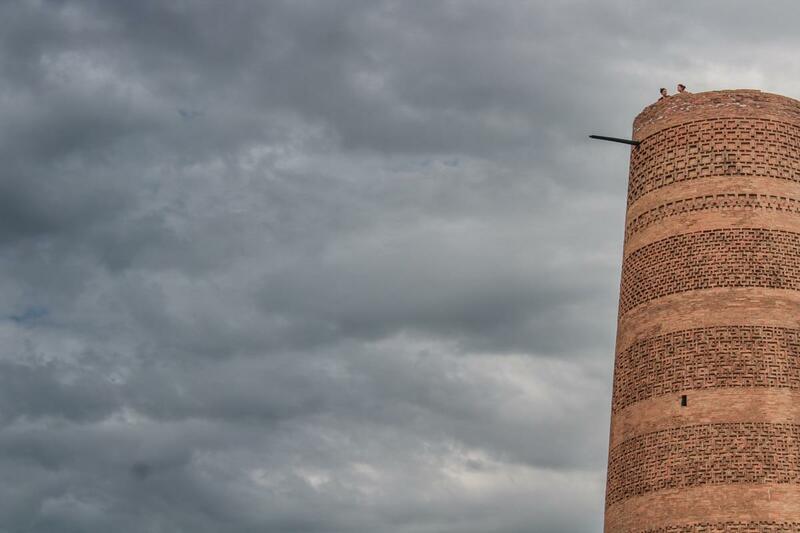 Funnily enough, many people in Turkmenistan quit smoking because tobacco brands on the black market became limited as a result of the ban, which meant that consistently buying the same brand was not guaranteed. Let alone higher prices and the risk of being caught, seeking out your favorite brand simply became too much of a hassle – if not outright impossible. Be sure to check out her blog to read more odd and interesting facts about Turkmenistan. Photojournalist Amos Chapple states that taking photos can be a stressful exercise. In some parts of the (spectacularly weird) capital of Ashgabat, soldiers will actually run at you, grab your camera and go through the photos you’ve just taken, demanding certain pictures be deleted. Even expat workers have picked up on the vibe – letting you know you shouldn’t be taking photos at ‘X’ place. This is particularly common around state buildings but there are plenty of places this won’t happen. But do be aware that this is a possibility if you’re around government buildings. Turkmenistan is an interesting country with various laws that counteract what we know in other parts of the world. Advertising has a vast amount of restrictions in the closed country and it can make it slightly more difficult for travelers to get around with ease. Recent visitor, Alison, stated that it was pretty difficult for her to find shops and restaurants as many weren’t allowed to have signage out front indicating their name or business. The internet is extremely restrictive in Turkmenistan. If you are heading there, you likely already know this. Facebook, Instagram, Twitter, Youtube… all blocked or restricted. Take care of personal matters beforehand and have a way to get in touch with friends and family in case of an emergency that is outside of these mediums. I have written quite a bit about Kazakhstan over the years as I have lived there and spent extensive amounts of time traveling or based in the country. 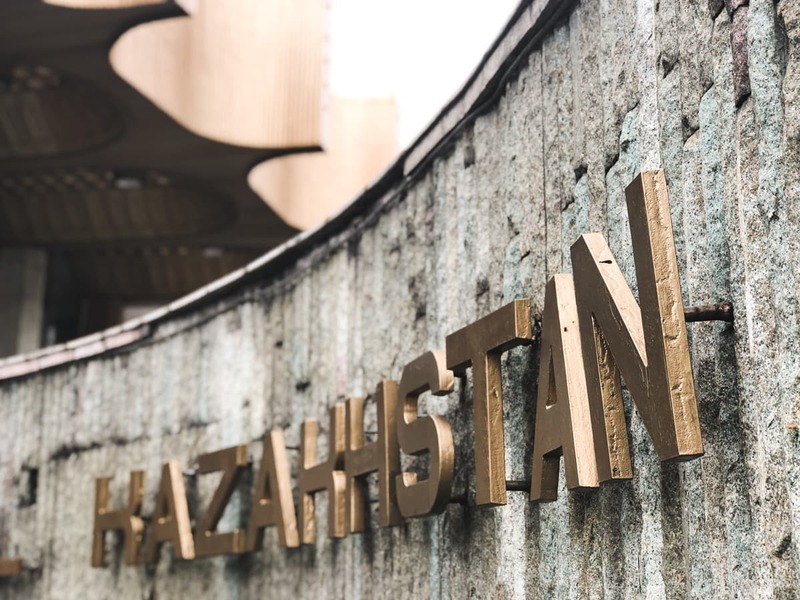 Here are a few tips or things to know before you add Kazakhstan to your Central Asia travel itinerary. You probably didn’t realize this, but if you have visited Kazakhstan or plan to visit the country, you can proudly say you have been to the largest landlocked country in the world. Or the ninth largest country by landmass. Either way, the country is massive. And pretty much barren. 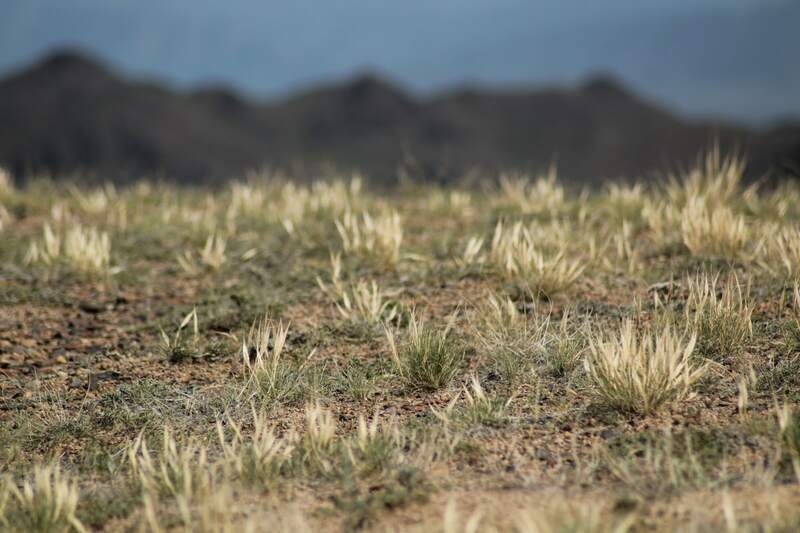 The Kazakh steppe is the largest dry steppe region in the world. 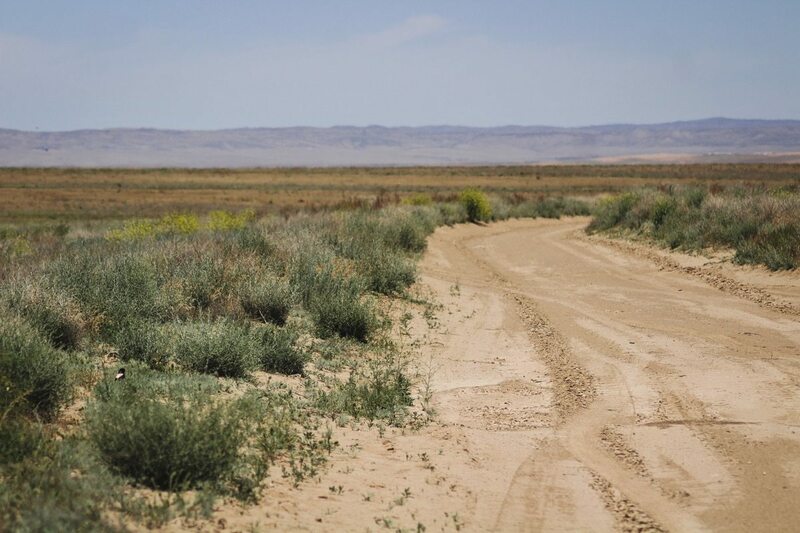 The word steppe is synonymous with ‘boring’ for me, but I find the Kazakh steppe anything but. If you off-road a bit, you can find canyons, rivers, and some scenery that will make your jaw drop. 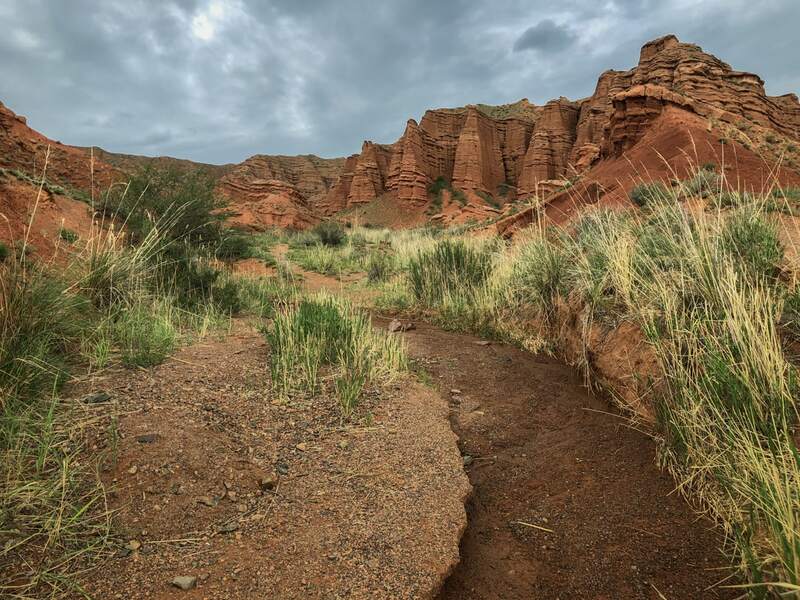 Altyn Emel National Park is a prime example of a place with several landscapes all within one national park! Kazakhstan is a land of undiscovered wonders, in my opinion, and many of them can be found along the vast and lonely steppe. It is also home to Baikonur and my childhood dreams of going to space. One day, one day. If you plan on traveling Kazakhstan, prepare for its vastness. It takes a long time to get anywhere unless you fly. …and it shows. They are playing catchup on tourism these days but the slow start definitely shows as the country is a ‘quick’ stop on most people’s Central Asia travel plans before they skip down to spend 90% of their time in Kyrgyzstan. 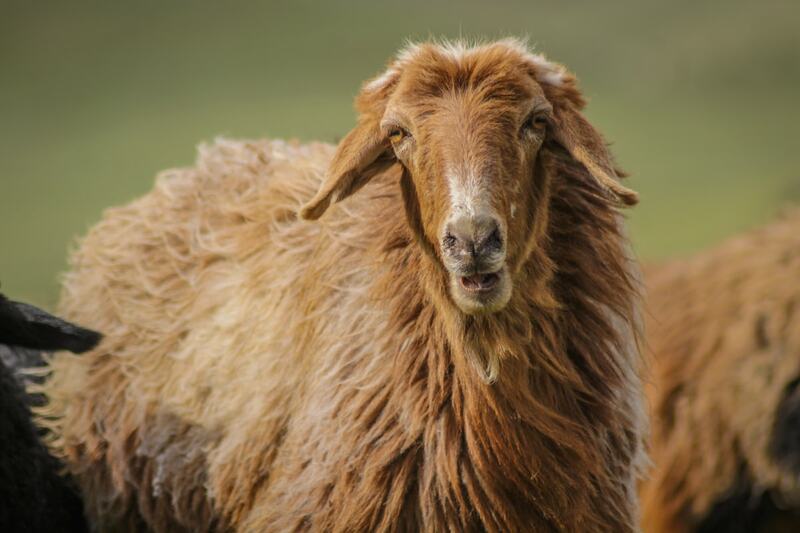 There is a lot to do in Almaty alone… so much that you can spend weeks playing around in the region, but no one really gives it much thought and flock like sheep to Kyrgyzstan. Both countries are fantastic and deserve time. I hope to promote Kazakhstan tourism and get travelers to spend more than merely a few days there. Fortunately, their visa procedures have simplified or been abolished for certain nationalities, so maybe change is on the horizon. Beware. There is a major issue with landlords changing your reservation or kicking you out if someone else comes in and slips them more money. This has happened to me before (twice!) and is the reason that I just stay in a hostel. I have had several friends kicked out of their apartments, as well. 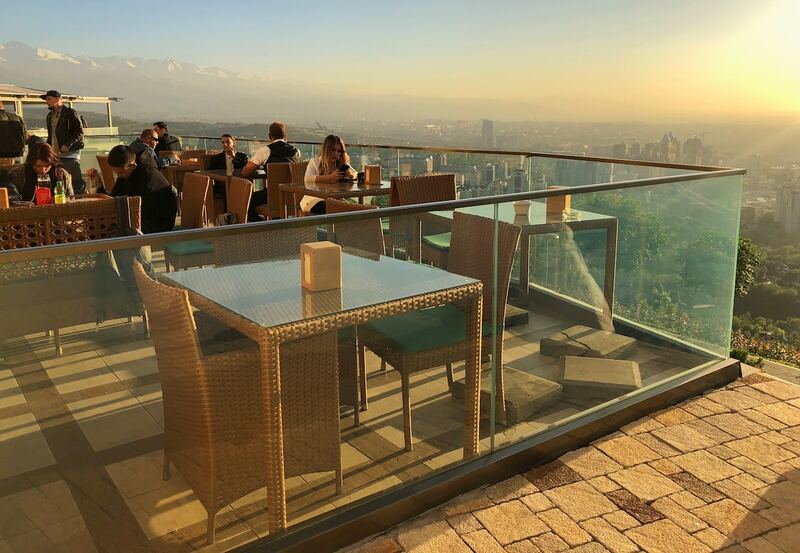 Renting an apartment in Almaty for your stay is a great idea, but it really just may be easier to book a bed at a hotel or hostel for the time being and until things change. One of my instances happened on Airbnb and the landlord tried taking things off of the site and was trying to charge me more. I threatened to report her to Airbnb (she has multiple properties) and was so aggressive about it that she was eventually eating out of the palm of my hand. If I had shown any vulnerability I think I would have been screwed with things. Stand your ground and know your rights. Or just rent a hotel or hostel. This is a pretty obvious one to me, but something I have seen happening in Kazakhstan lately is that a lot of younger folks are starting community tours to the nature in and around Almaty on their own since tourism development has been lagging behind for years and public transportation isn’t the best for foreigners to navigate to natural sights outside of the city. These groups don’t always organize in an official manner with payment up front as they are groups within the Instagram or online community. Please don’t cancel or blow it off if you commit. They often have a quota to meet to run the tours and can’t still run them otherwise. This is their job and they are not looking to capitalize off of tourists as you will have many young locals on the tours too. They are simply just trying to show off how beautiful their country is as many people don’t realize it. Some of the tour groups I am referring to are community ones with Almaty Hostel Dom, Steppe Spirit, and Campit.kz. Campit.kz has an office and is a bit larger and more well-known, but just remember that if you cancel last minute, that is a slot that someone else didn’t get. There is literally nothing around it. It was a city built up in the middle of the steppe and once it became the capital in 1997, the population naturally increased. But this doesn’t mean getting to Astana is easy or practical. The best way to get there is to fly. There are also fast trains from Almaty that take around 13 hours. But if you take a regular train you’re looking at spending an entire day on an old train. If you have a huge desire to travel to Astana, I say fly there or book that fast train. But otherwise, I would likely skip the city unless modern architecture just speaks to your heart. Here is a list of things to do in Astana if you find yourself there. And I had the pleasure of visiting Astana in December and January. I didn’t find it too bad, to be honest. But I was coming from Oslo and -20C was common enough that I was well-equipped for the weather with a heavy parka and proper shoes. The coldest capital city in the world is actually Ulaanbaatar, Mongolia. But you know what felt colder to me in winter than Astana in winter? Almaty. I know many other people who have said the same. Astana gets the wind and it can make it feel like hell. But Almaty can get the humidity and on the wrong day that can be torture. Out of all the Central Asian countries, Kyrgyzstan is the easiest and most open. The wifi works pretty well and the people are humble and friendly. Tourism is still underdeveloped, but it is getting there. Bishkek is a convenient city with everything you need and a relaxing and inviting atmosphere. Here are a few notes from things I have learned in Kyrgyzstan over the years. CBT is Community Based Tourism and it is a wonderful way to engage in sustainable tourism in Kyrgyzstan. By using CBT on your travels, you will be using local tour guides and family homes as you travel. You can prearrange everything ahead of time and it really is an invaluable travel experience. I stayed with CBT in Kyzart village near Song Kul and it was such a rewarding and cool experience. 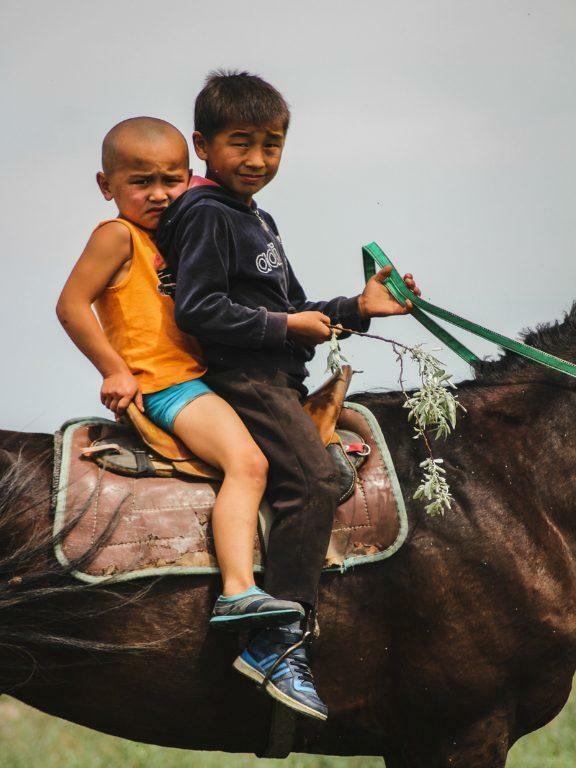 I got to meet Kyrgyz people outside of Bishkek and learn a bit about their lives in the village. They also had a super cute dog. To learn more about CBT in Kyrgyzstan, click here. If you know where you look, Kyrgyzstan is such a great place to learn about the culture of Kyrgyzstan and Central Asia. I find it much more difficult in other places I have been. 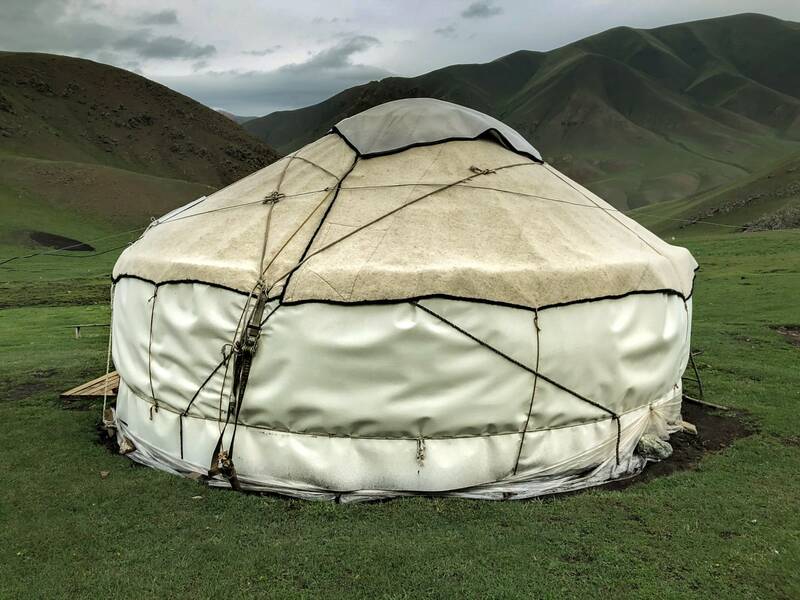 Even staying in a yurt in Kazakhstan is a difficult experience if you don’t have the connections and don’t want to spend $100 a night. 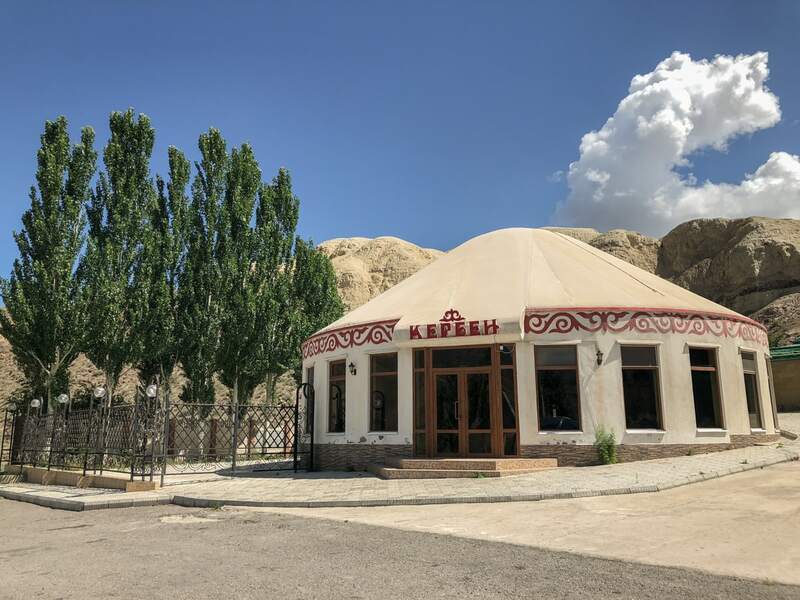 There are many things to do in Kyrgyzstan, but I highly suggest spending a day or two learning from the many cultural activities offered from the Kyrgyz sports to Yurt Building and beyond. 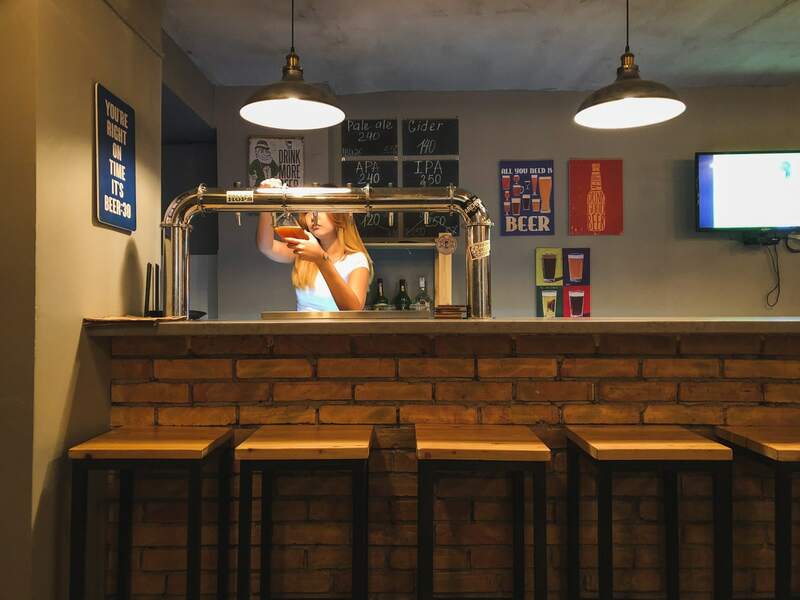 You can indulge in craft beer in Bishkek. Yep, you heard right. Bishkek currently has two craft breweries (hopefully more on the way soon!). The first and original is Save the Ales Bishkek. Its female owned and has a rotating selection of beers and a sizeable terrace. The second, Brewster Craft Beer, is newer and I really love the place. Aside from these two places, craft beer isn’t really a poppin’ scene in Bishkek. German beer is still found ubiquitously in the city and you can almost always find a skunked bottle of Arpa somewhere without much effort. Definitely go in and support these local craft breweries when in Bishkek though. If you’re looking to refill your SIM card in Kyrgyzstan, you can do so in machines that you will see spread throughout the cities. Just have your number ready and ask the person when you first purchase how much and how often you need to do and it should work without any issue. The machine also has an English option, unlike Kazakhstan ones where the only options are Kazakh and Russian. If you can’t find a machine in Kyrgyzstan, however, just got to a small kiosk that has a sign with your carrier’s name on it and they can help you. They may not be able to speak English, so try to write down or put in your phone the number of gigabytes you want and give them the money. Everything will be done very manually and they will write it all down on a notepad, but it should work with no issues after the payment is issued and they submit the codes. 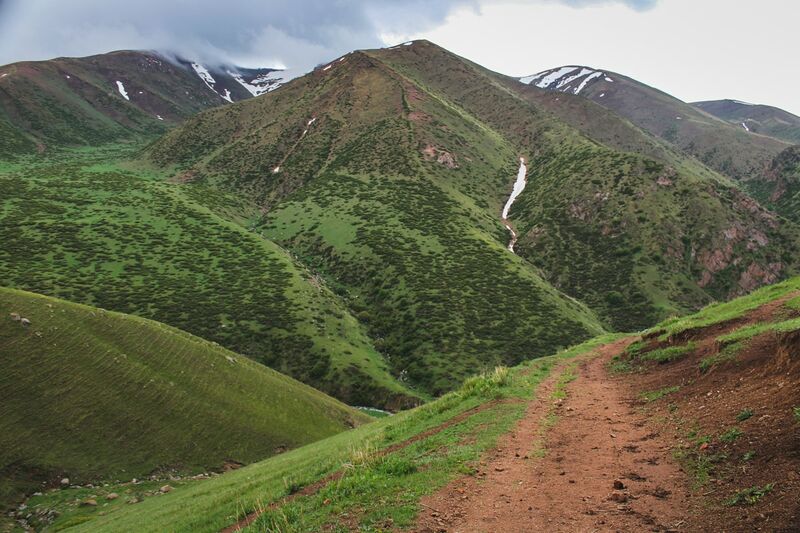 The Trekking Union of Kyrgyzstan arranges regular hikes and treks around the country. Some are for longer durations and some are for shorter ones. It is seriously a great organization for getting travelers and locals into Kyrgyz nature safely and responsibly. The guides are skilled and equipped with everything they need and the trips are completely affordable. To check out upcoming tours and offerings, click here. 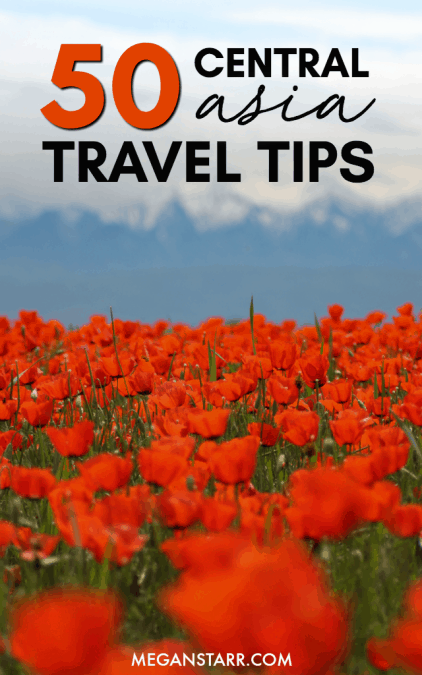 If you are looking to travel to Central Asia, I hope that some of these tips help you. I definitely advise doing your research; devour everything you can about the region’s history, economic and societal problems, cultures and customs, etc. It will help you be able to identify differences between the countries and understand why things operate in the fashion that they do. Central Asia is one of the most undiscovered, humbling places on the planet and I hope you enjoy it as much as I and the other travelers who gave their tips above do! Please feel free to drop your travel tips in the comments below for others. Thanks! There are plenty of ways to get there, but I, personally, like making Almaty my base when there. Many people opt for Bishkek, but I find the flights in and out of Almaty pretty decent right now. My favorite airline, airBaltic, just started flying into Almaty from Riga and the prices are completely affordable and the routes are regular. You can get to Bishkek easily from Istanbul. Astana has routes into a few places in Europe, but then you’re kind of stuck in Astana so I definitely recommend making Almaty or Bishkek your main base and then exploring the rest of Central Asia from there. Great overview and a lot of valuable, actionable information. I am truly happy with the service from NU car hire company. I had zero issues. Getting to their office I quickly got the car and then, drove away in a new car. The car was literally new, having 100 miles on it, ran perfectly. The staff seemed to be courteous. Great vendor! By the way, I’ve already made a reservation for my next trip. Very pleased to find your blog. It looks great. I cycled through Central Asia in 2015 during a cycle ride from Tokyo to London. Thoroughly enjoyed the four countries in CA I visited and would recommend them to everyone.